Oil of oregano is obtained from the common herb known as oregano whose botanical name is Oreganum vulgare. 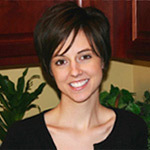 Studies show it is beneficial for controlling Candida and improving general health. The combination of powerful antifungal and antibacterial properties make this one of our favorite supplements for use on the Candida Diet. A study found that oregano essential oil inhibited the growth Candida albicans (1). It was even shown to be effective against strains that were resistant to the antifungal medication known as fluconazole. The antifungal properties of oregano oil make it very useful for treating and preventing Candida overgrowth syndrome. A study found that oregano essential oil had antibacterial activity against Escherichia coli (2) and it was even shown to kill these bacteria within a minute. This bacteria causes severe food poisoning that is treated with broad spectrum antibiotics. These antibiotics are some of the most common causes of Candida colonization since they also kill the good bacteria in the intestines. By killing the E. coli, oil of oregano reduces the use of antibiotics and can help prevent Candida colonization. A study found that a compound found in oil of oregano has anti-inflammatory properties (3). This effect makes it useful for managing Candida overgrowth which is associated with a state of chronic inflammation in the body. Consuming oil of oregano can also prevent Candida colonization since inflammation in the intestines is one of the factors that leads to the development of the leaky gut syndrome that helps Candida move from the intestines to other parts of the body. A study found that oil of oregano has antioxidant properties (4). This effect enables it to reduce the hazardous effects of inflammation in the body caused by Candida colonization. Oil of oregano is consumed to treat allergies, joint pains and fatigue (5). It is useful for reducing these symptoms in those who develop them after Candida colonization. Oil of oregano is also applied on the skin to treat fungal infections like ringworms and athlete’s foot (5). Oil of oregano is also taken by mouth to treat sinus infections, earaches, colds and flus (5). It is also taken internally to treat intestinal parasites like Blastocystis hominis, Entamoeba harmanni and Endolimax nana. This versatile oil is also used topically to treat other skin conditions like acne, dandruff, canker sores, warts, rosacea, psoriasis and varicose veins. (5). A study also found that oregano has anticancer properties (4). 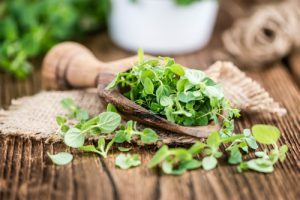 The first step in reaping the healing benefits of oil of oregano is to buy one which contains at least 70% of the active ingredient known as carvacrol. The recommended starting dose is 3 drops of oil of oregano mixed with water or coconut oil. This should be taken twice a day and progressively increased to 6 drops twice a day. Softgels which contain oil of oregano can also be consumed. Their recommended starting dose is a single softgel with 230 mg and it should be gradually increased to 230 mg twice a day taken after meals. For optimum results flavor the meals with herbs and spices with antifungal properties to reduce the risk of Candida adapting to it. These antifungal condiments include cinnamon, cumin, cloves, garlic, ginger and sage. Fungal infections of the skin can be treated by mixing oil of oregano with virgin coconut oil and applying it to the skin. People who are allergic to plants of the Lamiaceae family like rosemary, lavender, thyme, basil, hyssop, mint, sage and marjoram should avoid using oregano oil since it can lead to the development of skin rashes and other allergic reactions. The drops of oregano oil should also be taken with adequate amounts of water to avoid developing burning sensations in the mouth. Pregnant women should avoid oil of oregano since taking medicinal amounts of oregano is suspected to cause miscarriages. People with bleeding disorders like hemophilia and those taking blood thinning medications like warfarin, clopidogrel and aspirin should avoid oil of oregano since it can increase the risk of bleeding. Anyone scheduled to have surgery within 2 weeks should also avoid it for the same reason. People with diabetes should avoid using oil of oregano since it can lower blood glucose levels. Anyone taking lithium which is used to treat manic depressive disorders should also avoid using oil or oregano since oregano can interact with the medication and cause serious adverse effects. Find the full listing of recommended Candida Diet Supplements here.